Diddy‘s adopted son says his father isn’t just dabbling in high-priced art … the music/tv/fashion/liquor mogul is diving headfirst into the art world. We got Quincy Brown — whose biological father is Al B. Sure! 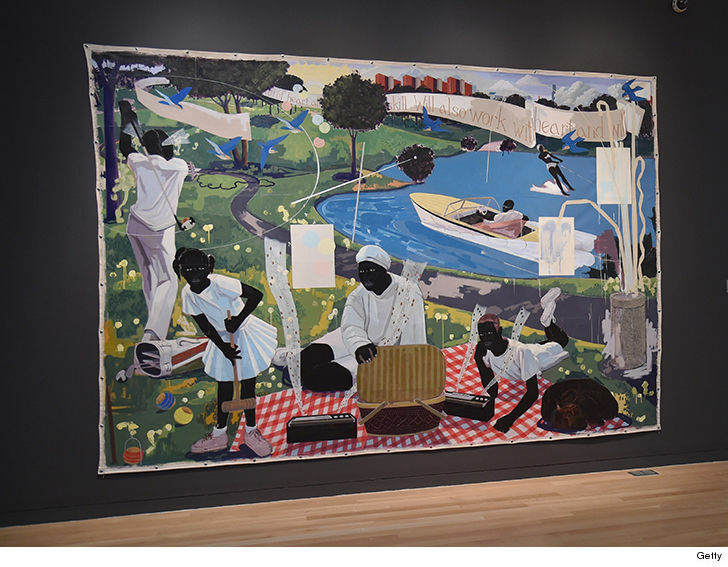 — at LAX Monday, and asked what he thought of Puff dropping $21.1 million on Kerry James Marshall’s ’97 painting, “Past Times,” during a Sotheby’s auction last week. Quincy says this is the next logical step for his old man, seeing as how he’s conquered just about everything else. The fact he dropped serious cheddar for the piece should tell you Papa ain’t playing around, according to his son. We also ask if Diddy’s gonna start his own Getty Museum … take a guess.